Trouble qualifying for a traditional mortgage? Short on a cash purchase? We can help you close your sale. Del Mar Financial & Investments, L.L.C. offers creative lending solutions for qualified buyers of Arizona real estate, and cash out programs for owners of Arizona real estate. We lend to both individuals and companies. Loan sizes range from $50,000 to $3 million. 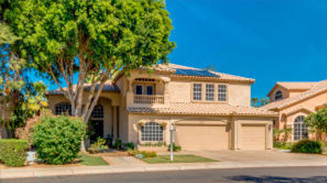 The advantage of Del Mar’s loan programs is our flexibility to loan on a variety of property types and borrower situations. We are an asset-based lender that takes a common sense approach to underwriting mortgage loans. Primarily, we evaluate the borrower’s equity and ability to repay the loan. There are many benefits to working with a lender that wants to help you be successful.